I have had my copy of Of A Time since Thursday. I was playing it all day Friday until I went out to the Cousins and Cutler gig. I'm not going to do a song-by-song review. There are tracks we all know here from Strawbs, tracks we all know but in a different format, and one or two we've not heard before. There are three songs, performed by Tony Hooper on the original album, that DC remixed with his own lead vocals. I have set up my playlist to substitute them and the album plays much more pleasingly to my ear. Tony Hooper's voice was always a bit too frail for the power of Cousins's songs - although those harmonies on "Jesus" are chilling. The only problem with Cousins's vocals on these songs is that he is restraining himself a bit. The thing I have always admired about DC is his vocal commitment. He sings his songs as if he really means them - a bit like Robert Plant only pleasing to listen to. 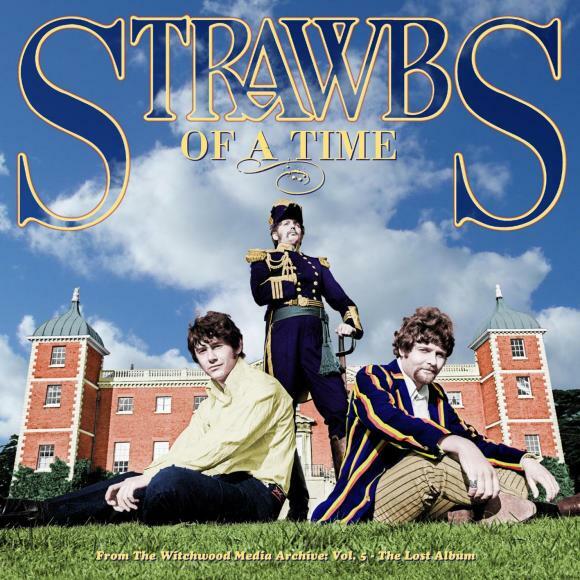 "Tell Me What You See In Me", the same mix from Strawbs, with Nosrati and His Band, is more wonderful every time I hear it. I have been looking for a Cousins song to sing with my Oud. I think I've found it. It is wonderful to hear Nicky Hopkins on piano on many of these tracks. A great and much under-rated pianist. There are two mixes of "Jesus" here, both resembling the opening track of Strawbs. If you listen to the single, the electric fuzz guitar is mixed much further forward and DC's vocals are swamped. Here, the guitar is mixed further back and much further back. I was suddenly reminded of "The Vision Of The Lady Of The Lake", where the fuzz guitar suddenly appears halfway through the song. The other noticable thing is that a lot of the bass parts are played by John Paul Jones on electric bass. I swear both his and Ron Chesterman's basses are on "Jesus" which perhaps is why when I bought the album in 1968, when the bass comes in after the guitar intro, the stylus was thrown right off the record. Ron's bass playing was one of the things that first drew me to the band. He had a way of making his double bass twang and playing interesting harmonies - listen to what he does behind "All The Little Ladies". The only comparable bassist for me is Danny Thompson. The version of "Josephine, For Better Or For Worse", is probably the best I have ever heard - except for the Herb Alpert lookalike tootling away in the background. Give me a Dave Cousins guitar solo anyday. I have probably not been paying attention, but "Whichever Way The Wind Blows" is new to me. It's a lovely song and DC sings it much better than Tony Hooper but if I have a criticism it is that the orchestration is a bit over the top. Whereas, the final song of the album proper, is completely over the top. Hooper's voice is faint against the background of the big band punch of the Ted Heath Orchestra, Nicky Hopkins rock and roll piano and the vocal pyrotechnics of an unidentified female vocalist. But it is glorious. Hats off to DC for chutzpah, on top of all his other talents. The rest of this CD is interesting but not really integral to the original album. I might amuse myself trying to assemble a full album including the two singles and the omitted poem but what I have already is eminently listenable. My endless thanks to Dave Cousins and whoever else helps him put these releases together.